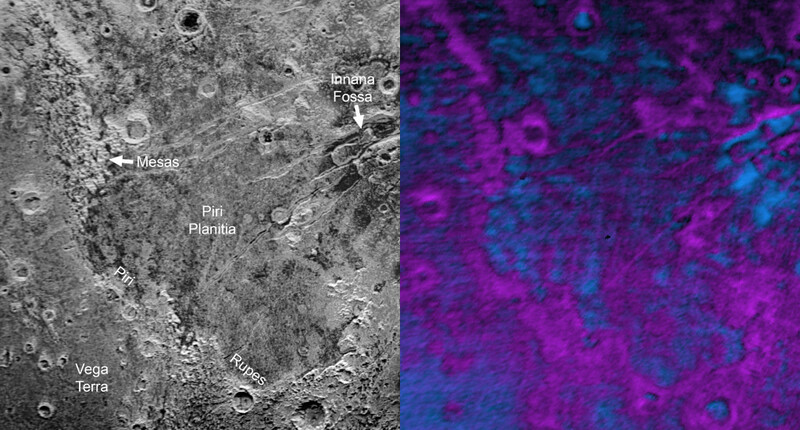 March 11, 2016 – Far in the western hemisphere, scientists on NASA’s New Horizons mission have discovered what looks like a giant “bite mark” on Pluto’s surface. They suspect it may be caused by a process known as sublimation—the transition of a substance from a solid to a gas. The methane ice-rich surface on Pluto may be sublimating away into the atmosphere, exposing a layer of water-ice underneath.